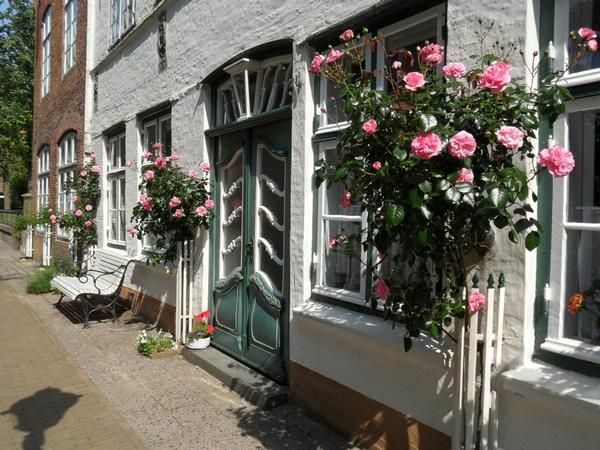 Comfortable apartment in Friedrichstadt for 2 people located directly on a canal with Wifi and telephone, private rowing boat, use of garden and bicycles. The apartment is quiet, but centrally located and oriented to the south. It has a living / bedroom and a large eat-in kitchen. The historic and lovingly renovated house is one of the oldest houses in Friedrichstadt and is a popular photo on postcards.